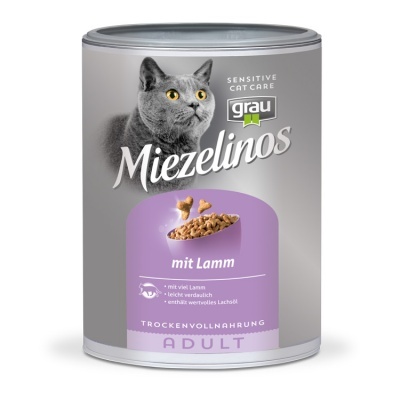 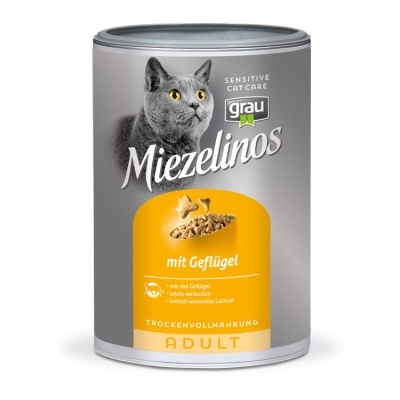 Miezelinos ADULT with Lamb is a delicious change to the menu for demanding cats. Lamb is readily digestible and is for that reason especially suitable for sensitive cats (coat, gastrointestinal tract). 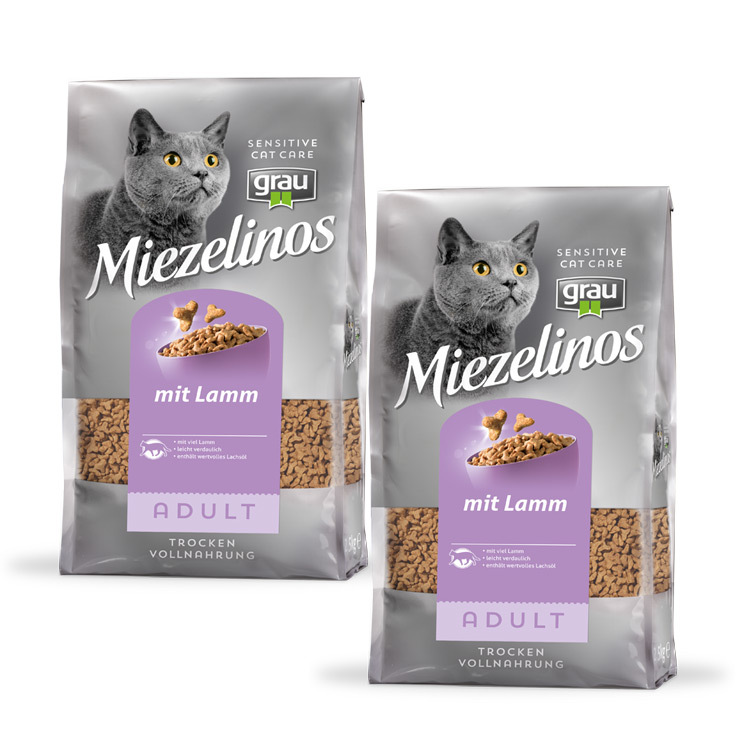 this complete food is particularly suited to cats suffering from feed intolerance. 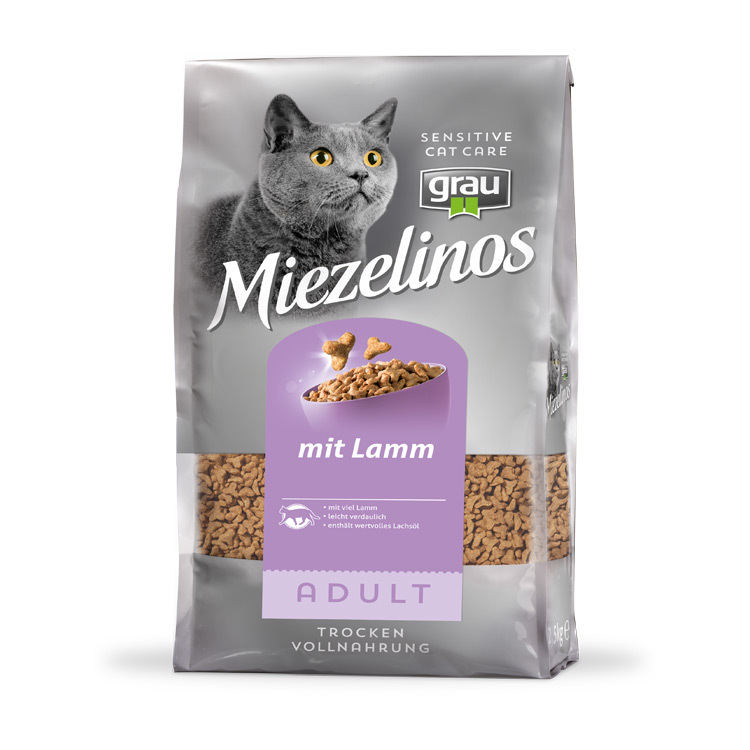 .The high-quality ingredients ensure excellent acceptance.